As Amazon Net Sales continues to grow, net income remains flat as Amazon manages all income it receives to spend it on the future. 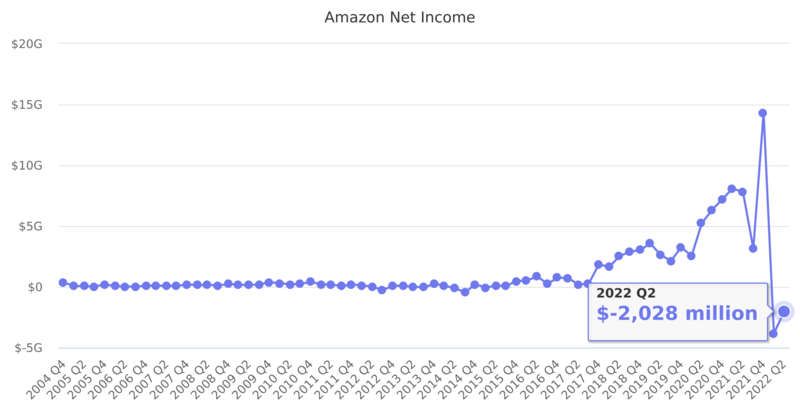 Highly profitable Amazon Web Services has raised net income over the last few years. Last reported quarter 2018 Q3 it was $2,883.00 million, up by 1,026% year-over-year from $256.00 million. From $2,371.00 million in 2016 it increased by 28% to $3,033.00 million in 2017.